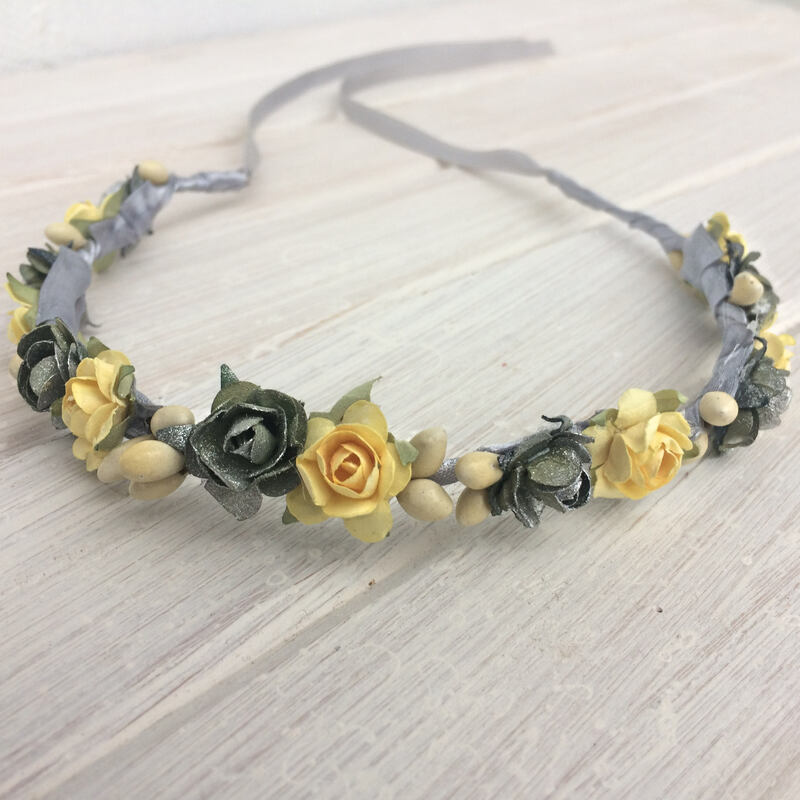 A beautiful vintage inspired flower crown! 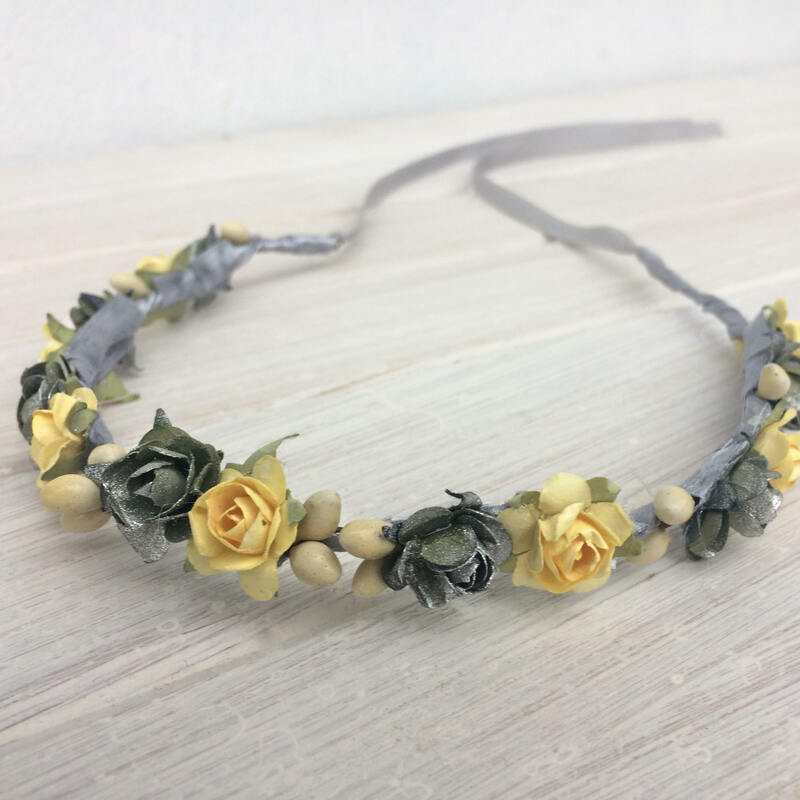 Dainty Silver and Mint roses are adorned with beige beads for a classic vintage style woodland flower crown. 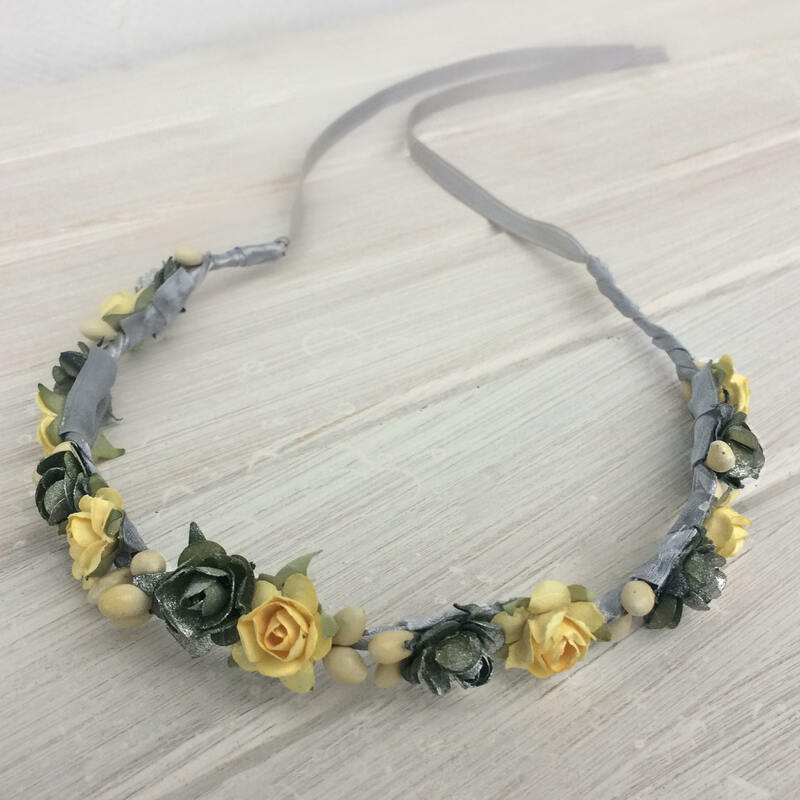 The design is embellished with Silver satin ribbons that are approximately 12 inches long on each side for a sweet tie back.